Algeria 1986: Tamanrasset. I was in Algeria for 14 days. I went overland from Alger to Tamanrasset, and had a lot of problems getting back! 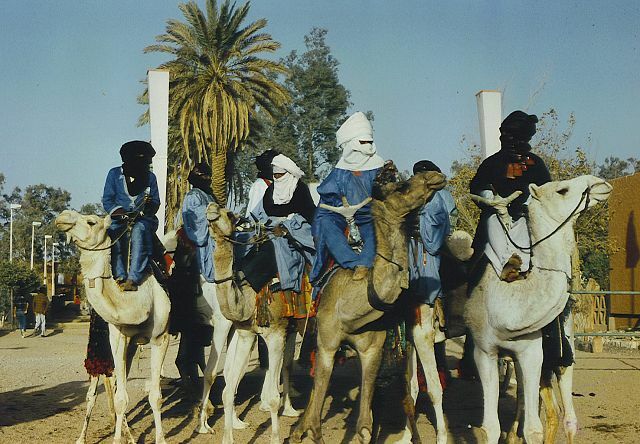 This is a picture of some tuaregs making a performance.